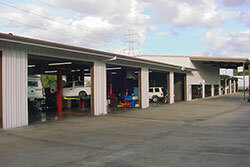 Scott’s Auto Repair is the leading, full-service auto repair and maintenance service shop in Houston, TX. We are family owned and operated, and have been completely dedicated to providing our customers with top quality customer care and automotive repair in Houston and the surrounding local communities since 1986! Scott Strait first opened Scott’s Auto Repair in Houston, TX in 1986. Even from a young age, Scott has always had a love of automobiles. He first learned how to fix cars by working in the auto repair shop around the corner from his house. Since getting this first experience, Scott’s passion for automotive repair has grown, and he has kept up with all the advances in auto repair and design. Scott's Auto Repair began with pretty humble beginnings. Scott first rented a space to run his shop back in 1986. Through hard work, quality craftsmanship and a strong commitment to customer satisfaction, Scott’s Auto Repair began to grow. Today, Scott owns his own 24-bay auto repair facility where, along with his experienced team, he continues to provide above and beyond automotive services. 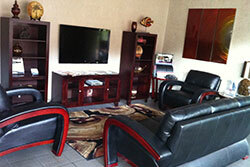 Scott’s Auto Repair has grown into a thriving auto repair shop, providing the best auto repair in Houston, TX. Even though the shop has grown in size, the promise to always keep personal service and attention to detail has never waivered. As the motto states: big enough to serve you, small enough to know you! Scott is still the proud owner and manager of Scott’s Auto Repair. He lives in Houston with his wife and 2 daughters, and works as a volunteer fireman in his spare time. Scott never wants a single customer to leave dissatisfied, and will do what it takes to make you happy! Stop by Scott’s Auto Repair next time you need auto repair services in Houston, and see what a difference 27 years of customer service makes. At Scott’s Auto Repair, our mission is to be the recognized leader and company of choice in providing innovative and cost effective solutions to our customers’ automotive repair and maintenance needs.